Sign Up for free to save time shopping Muru's wholesale products on LeafLink. 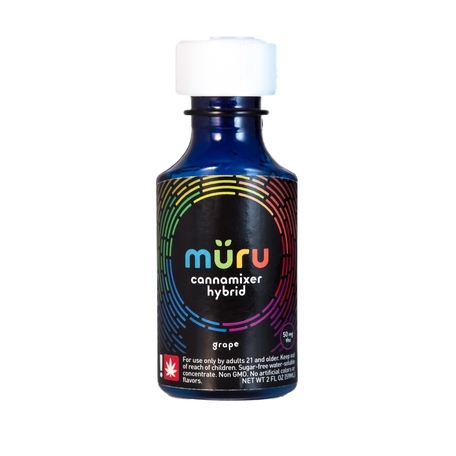 A Portland Oregon based and Oregon owned producer of health conscious, truly water-soluble Cannamixer drink additives. We are a passionate team of cannabis activists that are committed to bringing you the highest quality, all natural, ethically sourced cannabis consumables available on the market today. Sugar, soy, wheat, corn, preservative, and cruelty free. We worry about what goes in so you don't have to. Shop all your favorite brands on LeafLink for free. Join over 2500 retailers saving time on LeafLink. Introducing our full spectrum 1:1 formula! Flavor essence of our favorite northwest summer berry mixed with bright refreshing lemon. 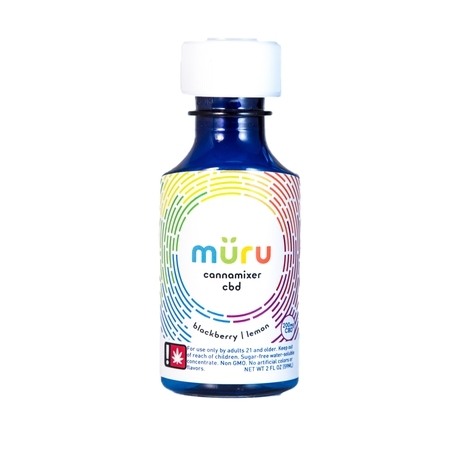 1:1 Blackberry lemon müru makes a fruity medicated elixir of just about any beverage to bring balance and well being to your life. Made with the gorgeous sungrown oil of East Fork Cultivars, rich in both terpenes and cannabinoids for full spectrum healing. Try it in lemonade, sparkling water, lemon water, hot and cold teas, or a margarita. Sugar Free Water Soluble Concentrate. Non GMO. No Artificial Colors or Flavors. Sodium 0g, Sugar 0g, Carbs 6g, Fat 0g. Directions for use: Shake Well. Add to your favorite beverage. Stir, enjoy. Avoid exposure to sunlight. Store in a cool dry place. 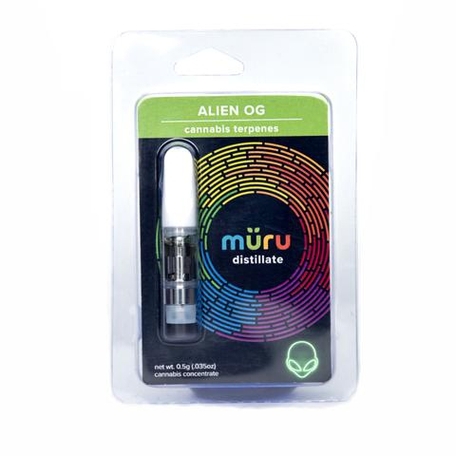 Ingredients: Non-GMO vegetable glycerin, oligosaccharides (%100 natural prebiotic fiber), East Fork Cultivars custom 1:1 sungrown full spectrum oil, natural blackberry flavoring, natural lemon flavoring, purple coloring (grape, cabbage, beet concentrate). This is sunshine concentrated! 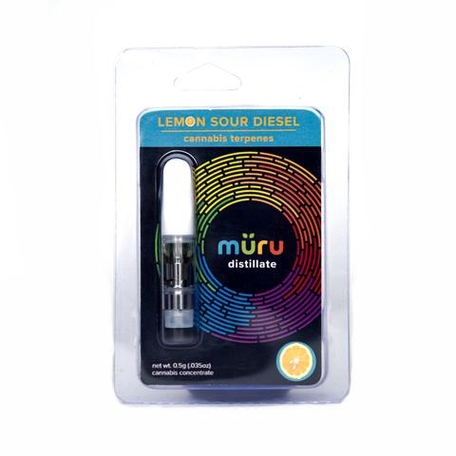 The bright citrus flavor of lemon paired with the full spectrum terpene profile of East Fork Cultivars sungrown oil is a match made in heaven. Perfect for full balanced wellness. Get lifted while staying grounded. 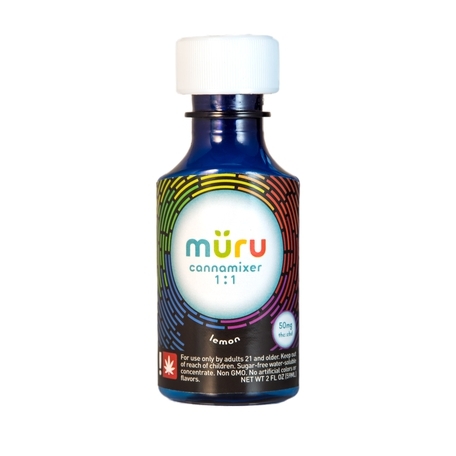 This cannamixer is wonderful added to your water bottle for the day or as a natural sugar free sweetener in your teas and drinks. Lemon is so versatile you can add it to almost anything you want a little zip and kick in. Try it in lemonade, sparkling water, lemon water, hot and iced teas, a hot toddy, salad dressings, even just plain refreshing iced water. This is a northwest favorite. Flavor essence of our favorite northwest summer berry mixed with bright refreshing lemon. Blackberry lemon müru makes a fruity medicated elixir of just about any beverage. Try it in lemonade, lemon water, hot and cold teas, or a margarita. Ingredients: Non-GMO vegetable glycerin, oligosaccharides (%100 natural prebiotic fiber), non-GMO pure CBD extract, natural blackberry flavoring, natural lemon flavoring, purple coloring (grape, cabbage, beet concentrate). The perfect addition to your drink of choice from the heat of summer to the chill of winter. Lemon müru is a very lemon forward addition to your summer tea, bubbly water or cocktail. You can't go wrong. And when the darkness and chill falls upon us, Lemon müru in hot tea or hot toddy couldn't be more perfectly comforting. Ingredients: Non-GMO vegetable glycerin, oligosaccharides (%100 natural prebiotic fiber), non-GMO pure CBD extract, natural lemon flavoring, yellow coloring (turmeric concentrate). Blueberry Ginger Cannabucha is a treat! Light and crisp flavors of fresh blueberries lead the way as subtle hints of ginger and honey balance this wonderful healthy elixir. Wonderful alone and even better in your favorite mocktails, this is the perfect drink to share with friends on a hot summer day! Its a delightful, fizzy, detoxifying mouth party that will get you lifted and energized in the most delicious of ways! Lemon Ginger Cannabucha is a bright, citrus forward flavor, with subtle hints of ginger to balance the taste of fruit and oregon grown cannabis. Naturally sweet with no added sugar this is the perfect healthy drink by itself or an incredible mixer for whatever mocktails you can dream up! 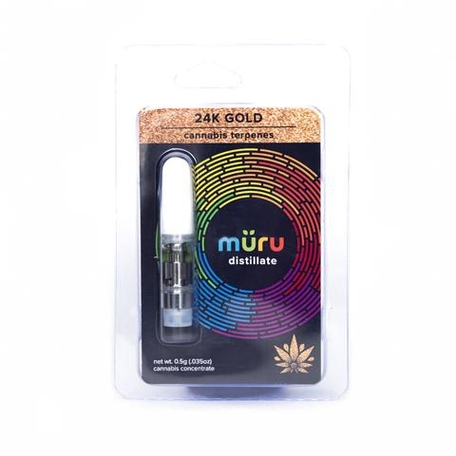 Müru strain specific distillate cartridges are made with respect to the cannabis plant. We utilize Green Envy technology, which never includes the usage of toxic hydrocarbons. Cannabinoid and terpene profiles are lovingly preserved to give you that whole plant, full spectrum experience. Our distillate is produced using the highest quality flower and cannabis based terpenes from Sol Sisters Farms. Hibiscus Lemonade - Enticing floral notes compliment this refreshing classic citrus flavor . Perfect for a hot day or as an addition to your favorite beverage. 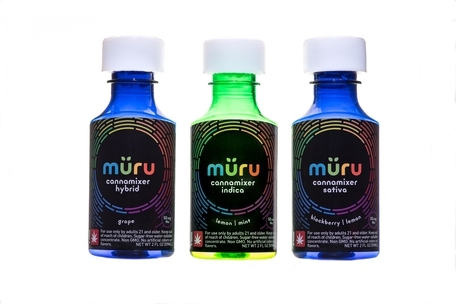 müru's Highwater is a 100% natural cannabis water infusion beverage. Oregon spring water is complimented by the finest organic flavors, sweetened with organic agave, and infused with our own in house broad spectrum distillate. 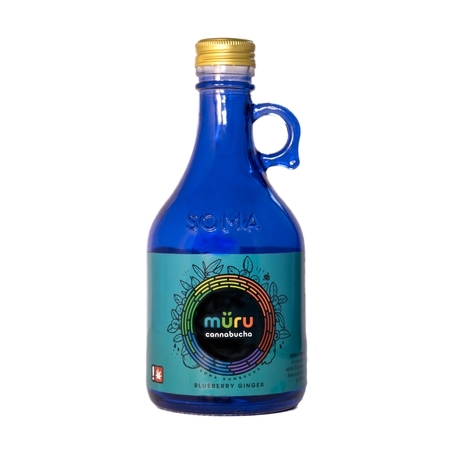 This light, delicious water based cannabis beverage is a treat for the mind and the tastebuds. Always produced in house and never using any harsh hydrocarbons or chemicals like BHO or C02 at any point. True to the plant, true to the consumer. Sodium 0g, Sugar <1g, Carbs <1g, Fat 0g. Directions for use: Best served chilled. Avoid exposure to sunlight. Store in a cool dry place. Pina Citrus Punch - This delicious tropical medley is a perfect addition to a sunny day. A balanced citrus blend with just a hint of pineapple that is sure to make every day a trip to the beach. Strawberry Lime -The rich berry flavor of organic strawberry with a subtle twist of lime are a perfect pairing in this refreshing drink. Ingredients: Non-GMO vegetable glycerin, oligosaccharides (%100 natural prebiotic fiber), non-GMO THC extract, natural blackberry flavoring, natural lemon flavoring, purple coloring (grape, cabbage, beet concentrate). Tried and true, the favorite flavor of many for life! Grape müru speaks for itself. Bright and bold natural grape flavors can take any beverage from boring to delish in moments. Ingredients: Non-GMO vegetable glycerin, oligosaccharides (%100 natural prebiotic fiber), non-GMO THC extract, natural grape flavoring, purple coloring (grape, cabbage, beet concentrate). The perfect addition to your drink of choice from the heat of summer to the chill of winter. Lemon mint müru is a very lemon forward addition to your summer tea, bubbly water or cocktail. You can't go wrong. And when the darkness and chill falls upon us, Lemon mint müru in hot tea or hot toddy couldn't be more perfectly comforting. Ingredients: Non-GMO vegetable glycerin, oligosaccharides (%100 natural prebiotic fiber), non-GMO THC extract, natural lemon flavoring, natural mint flavoring, yellow coloring (turmeric concentrate). 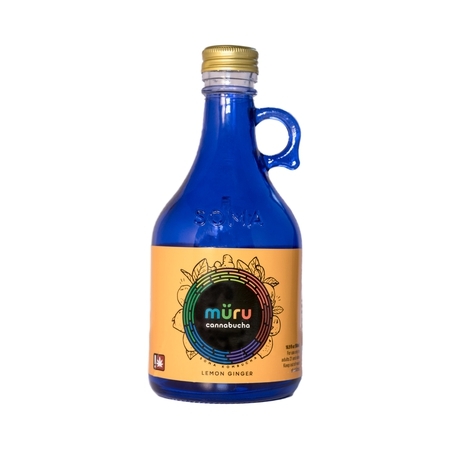 Blackberry lemon müru makes a fruity medicated elixir of just about any beverage. Lemon mint müru is a very lemon forward addition to your summer tea, bubbly water or cocktail. You must be 21 years of age or older to view this page.